The third generation Raspberry Pi has moved to 64bits and adds both Bluetooth and WiFi. The board is manufactured by RS Components http://uk.rs-online.com/web/generalDisplay.html?id=raspberrypi and http://www.alliedelec.com/raspberry-pi/ and is aimed at embedded industrial applications, in homes and in schools and colleges worldwide. Building upon the phenomenal success of its predecessors - the Raspberry Pi 1 Model B+ http://uk.rs-online.com/web/p/processor-microcontroller-development-kits/8111284/ and Raspberry Pi 2 Model B http://uk.rs-online.com/web/p/processor-microcontroller-development-kits/832-6274/ - the Raspberry Pi 3 has significantly upgraded processing capabilities to deliver 50% more performance than Raspberry Pi 2 and approximately ten times more than the original Raspberry Pi 1, allowing it to run even higher-end applications. The Raspberry Pi 3 boots from a micro SD card and uses the NOOBS (New Out Of the Box Software) installation manager. The standard Raspbian operating system install comes bundled with a range of productivity applications, and programming tools including Node-RED; this visual tool provides support for wiring together hardware devices, APIs and online services, making the board ideal for the rapid development and prototyping of IoT projects. It has the same footprint as previous Raspberry Pi incarnations - with its credit-card-sized dimensions of 85 x 56 x 17mm - the Raspberry Pi 3 Model B retains many of the same features and capabilities of the previous generation. These include: a 40-pin GPIO (General Purpose Input Output) connector; four USB connector port; full-HD HDMI; 10/100 Ethernet; 3.5mm audio jack and composite video; camera (CSI-2) and display (DSI) interfaces; and micro-SD card slot. Power input to the board is via its micro-USB socket requiring an external, plug-in power supply unit (PSU). "We are unveiling the third-generation Raspberry Pi four years to the day after the launch of the original Raspberry Pi board on February 29, 2012," said Eben Upton, founder of Raspberry Pi. "It also marks the four-year anniversary of our highly successful relationship with RS and Allied, which have played a significant role in its success as leading and trusted sources of products, technologies and information for professional engineers, hobbyists and those looking to make their first steps into the work of programming." "Raspberry Pi has taken another important step in its evolution," said Lindsley Ruth, Chief Executive Officer at Electrocomponents. "Based on the robust and well proven combination of hardware and software of the Raspberry Pi platform, this latest generation board delivers even more processing power together with embedded wireless connectivity, plus software to make it easy for businesses or individuals to develop applications for the Internet of Things. RS and Allied are honoured to once again embark upon another new chapter as a distribution partner for the Raspberry Pi Foundation." The new Raspberry Pi 3 offered by RS and Allied is manufactured exclusively in the UK under licence by the distributor. A Raspberry Pi 3 Compute Module I/O Board will also be available shortly from RS and Allied, enabling OEMs to develop their own Raspberry Pi 3 based solutions for many industrial applications. Where Are The Raspberry Pi Zeros? Atmel has launched what it says is the world’s highest performing, low power, 8-bit MCUs with 1kB Flash memory. The new ATtiny102/104 MCUs runs up to 12MIPS and integrate features previously only available in larger more expensive MCUs, aiming at smaller applications including logic replacement and the latest cost-optimised applications in the consumer, industrial and home automation markets. The move appears to be an attempt to protect the AVR product line with the impending acquisition by Microchip. Microchip's PIC range of 8bit microcontrollers is also popular in the the same markets and it is distinctly possible that the AVR range will become a victim of the merging of the product lines. A spokesperson for Atmel declined to comment on the future of the line as the acquisition has not been completed. The majority of today’s 8-bit market growth is coming from applications that previously only required discrete components. With many of these new applications requiring simple intelligent functions including timing, motor control or on/off functionality, 8-bit MCUs are becoming an essential feature for the personal healthcare, small kitchen appliance and consumer markets, says Atmel. As a result the ATtiny102/104 AVRs integrate features such as self-programming for firmware upgrades; non-volatile data storage; accurate internal oscillator to provide more reliable motor control; high-speed serial communication with USART; operating voltages ranging from 1.8V to 5.5V, 10-bit ADC with internal voltage references; and sleep currents at less than 100nA in power down mode with SRAM retention. 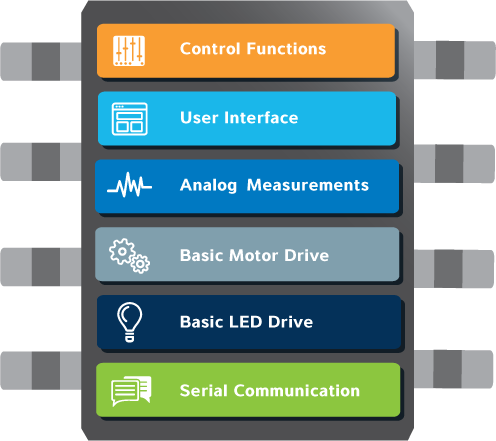 To accelerate the design process, Atmel offers a low-cost Xplained Nano evaluation kit available for only $4.44 USD in the Atmel Store. The new kit includes a board with an ATtiny104, embedded programmer, access to all I/O, one push button and one LED. The ATtiny102/104 are supported by Atmel’s development ecosystem, including Atmel Studio 7, the integrated development environment (IDE) for developing and debugging both Cortex-M and AVR applications. Engineering samples are available today with mass production samples scheduled for May 2016. SanDisk has launched its first dedicated USB Type-C flash drive, pushing up read speeds to 150Mbit/s. The company had already launched a dual drive that combined a USB Type-C and the existing Type-A connector, but the dedicated Ultra USB Type-C (USB-C) flash drive is designed specifically for next-generation devices and marks the maturing of the Type-C connector. The need for a dual device came from the difference between the incompatible Type-A and Type-C connectors, while the underlying embedded controller for USB3.1 is the same for all the drives. 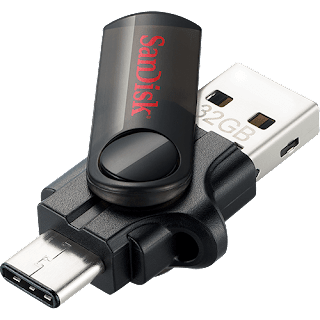 The new SanDisk Ultra USB Type-C Flash Drive is available in up to 128GB and delivers USB 3.1 performance of up to 150MB/s read speed, making it SanDisk’s fastest and highest capacity USB Type-C offering. 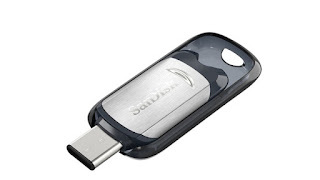 The USB drive features a slim, retractable design to protect the reversible connector and is compatible with the SanDisk Memory Zone app for Android. The app, which is available for free through the Google Play Store, auto-launches upon insertion of the drive into a compatible device, allowing immediate access to the user’s content and easy file management3. The drives have a five-year warranty and come in capacities of 16GB, 32GB, 64GB and 128GB with U.S. MSRPs of $19.99, $29.99, $49.99 and $79.99, respectively. Several flash drive makers, including SanDisk, already have dual drives that combine the Typee-A and Type-C connectors. 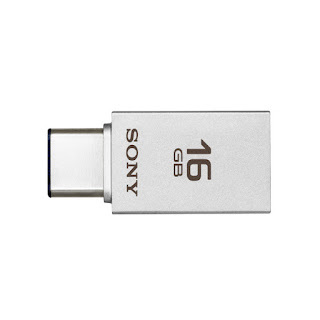 Sony last month launched its USB CA1-series with 130MB/s read transfer speeds and densities up to 64Gbytes. The sleek connector is tailored to fit multiple devices such as your smartphone, yet robust enough to also fit a tablet and laptop for quick sharing and easy back up. The drive is available this month. Lexar also launched a dual JumpDrive, the M20c, last year. This has read speeds up to 150Mbit/s and write of 60Mbit/s for its highest density 64GByte drive. 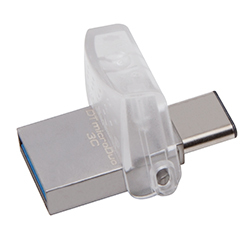 Kingston Digital, the Flash memory affiliate of Kingston Technology, last year also launched its DataTraveler microDuo 3C USB Flash drive that combined both USB Type-A and Type-C connectors. 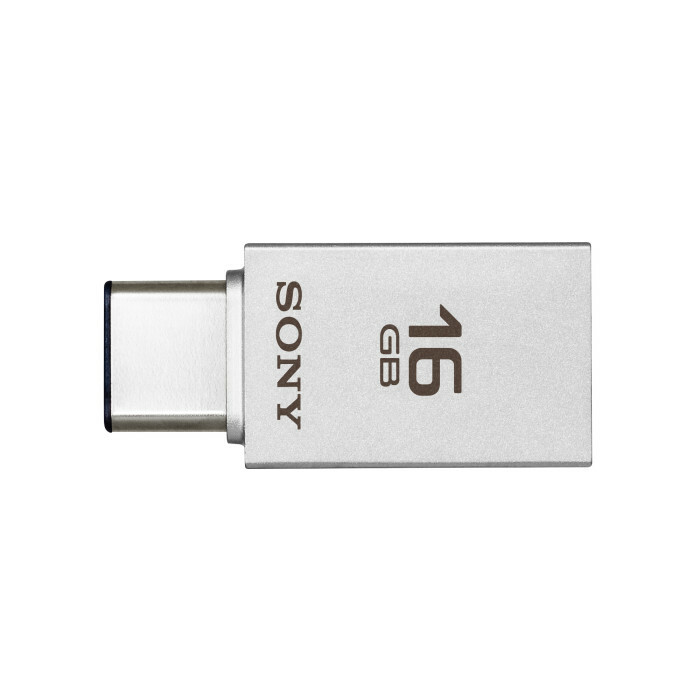 This provides up to 64GB of extra storage with read speeds up to 100MB/s and write speeds up to 15MB/s. Semtech has teamed up with ARM to provide the LoRaWAN shields and platforms through ARM's mbed development tools for low power, long range IoT nodes. The LoRaWAN end-device source code, standardized by the LoRa Alliance, is also available through mbed simplifying device prototyping and accelerating the development of Internet of Things (IoT) applications. By offering a tool that comes pre-installed with editable source code, the LoRa-equipped mbed platform allows developers to easily develop IoT applications and connect to LoRaWAN gateways. This gives developers and other interested parties the tools necessary to test the capabilities of LoRa RF technology and create IoT solutions. The mbed supported NAMote72 platform is integrated with Semtech’s SX1272 LoRa transceiver and a STMicroelectronics STM32L1 series ultra-low-power MCU. This tool is designed for the 915MHz frequency band and includes a front-end module that can test the technology limits at the highest allowable regulatory output power. In addition to the NAMote72, Semtech and ARM released two LoRa and mbed enabled shields, the SX1276MB1MAS and SX1276LB1LAS, based on Semtech’s SX1276 transceiver. These tools, designed for the ISM frequency bands of Europe and China (SX1276MB1MAS) and North America (SX1276LB1LAS), give developers source code to enable RF tests, simple point-to-point communication and other device compatibility. The mbed shields plug into any mbed microcontroller development platforms from STMicroelectronics, NXP and others. LoRaWAN LPWANs will be deployed for Mobile World Congress in Barcelona and Embedded World in Nuremberg, Germany. The ARM mbed IoT Device Platform will be displayed at the LoRa Alliance and Semtech booths to showcase its functionality with the live LoRaWAN network. Atmel, currently being acquired by MIcrochip, has launched the industry’s first hardware interface library for TLS stacks used in Internet of Things (IoT) edge node applications. Hardening is a method used for reducing security risks to a system by applying additional hardware security layers and eliminating vulnerable software. Atmel’s new Hardware-TLS (HW-TLS) platform provides an API that allows TLS packages to use hardware key storage and cryptographic acceleration even in small, resource constrained edge node designs. HW-TLS is pre-loaded with unique keys and certificates designed to reduce the complexities of generating secure keys in the manufacturing supply chain. OpenSSL is a general-purpose cryptography library that provides an open-source implementation of the Secure Sockets Layer (SSL) and TLS protocols. wolfSSL is a cryptography library that provides lightweight, portable security solutions with a focus on speed and size. The ATECC508A-OpenSSL and ATECC508A-wolfSSL libraries are available for immediate download at their respective software distribution repositories to provide more secure elements without disruption to the developer workflow. Secure hardening for both OpenSSL and wolfSSL is made possible with HW-TLS which allows those TLS software packages to interface seamlessly with Atmel's ATECC508A CryptoAuthentication co-processor. The ATECC508A provides protected key storage as well as hardware acceleration of Elliptic Curve Cryptography (ECC) cipher suites including mutual authentication (ECDSA) and Diffie-Hellman key agreement (ECDH). As such, HW-TLS allows developers to substantially harden Transport Layer Security (TLS), enhancing security for IoT-device and cloud-service ecosystems. When used together, HW-TLS and the ATECC508A allow small, low-cost IoT nodes to implement strong cryptographic security. All private keys, certificates and other sensitive security data used for authentication are stored in secure hardware and protected against software, hardware and back-door attacks. In addition, the integrated ECC accelerators in the ATECC508A offload cryptographic code and math from the MCU allowing even a low end processor to perform strong authentication. With the rise of the IoT, security has become a pressing topic because autonomous remote devices are now routinely connecting to wireless networks to form complex smart-device and cloud-service ecosystems. As a result, autonomous smart IoT devices constitute a significant part of those networks and must be able to authenticate themselves to the network resources to maintain the integrity of the ecosystem. In addition, these remote, resource-constrained clients must be able to perform this authentication using minimal processing, memory and power. Traditionally, TLS performed authentication and stored private keys in software. The Atmel Hardware-TLS platform closes the vulnerability gap in this arrangement by offloading the crucial key management responsibility to dedicated, tamper-resistant secure elements such as the ATECCC508A CryptoAuthentication device. In addition, the intensive crypto algorithms are processed in the CryptoAuthentication device, offloading the MCU on the remote devices and enabling the IoT edge node to authenticate to the cloud without a user-perceptible delay.Furthermore, Atmel Hardware-TLS comes as a complete platform pre-loaded with unique keys and certificates for eliminating the complexities of adding secure keys to each device in a manufacturing supply chain. The Atmel Hardware-TLS platform complements Atmel Certified-ID, a seamless and secure keys provisioning platform for creating trusted Internet identities for smart connected devices. `Does Vulnerability Testing Expose All Attack Vectors ? The new SD card has enhanced power failure protection, a memory health status monitor, OEM customization capabilities, and enhancements for read-intensive applications, such as navigation. With these features, automotive manufacturers can designate and program a SanDisk Automotive SD card for use exclusively with a specific connected application. 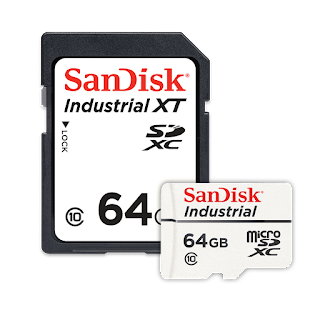 Manufacturers can also remotely and proactively monitor the easily removable SD card to ensure that it is operating at its ideal performance level or to identify when card upgrades or replacements are needed. The new smart features will also be available in SanDisk Industrial and SanDisk Industrial XT SD card solutions. These industrial-grade cards are intended for use by OEMs in market segments that demand high endurance and reliability even in extreme temperatures, including factory applications, industrial computing, utilities, medical equipment, robotics, point-of-sale solutions, large-scale printing, and many other applications. The inclusion of the new features enables OEMs to better manage the intensive data demands of a variety of applications in the industrial market, from commercial drones to industrial gateway systems to security cameras and more. well over one billion connected automotive subsystems will be shipped. The AEC-Q100 certified SanDisk Automotive SD card enables OEMs to bring intelligent, reliable and high-capacity data storage to a wide array of advanced, in-vehicle applications and systems, such as 3D and HD navigation and mapping systems, data event recorders, advanced driver assistance systems (ADAS), telematics and more. The automotive grade SD card is built to meet the intense reliability and quality requirements. The ThreadX real time operating system (RTOS) has surpassed 5.4 billion total deployments. Verified by VDC Research with data on each segment, ThreadX is particularly well-represented among the SoC-based subsystems for Bluetooth, baseband, and WiFi radio. Developed by Express Logic 20 years ago, ThreadX is a small, fast, royalty-free RTOS that provides embedded developers with priority-based preemptive scheduling, optimized context switching, and a highly intuitive API. It is deployed in environments where low overhead, high performance, and solid reliability are a must, and in products from sectors that include consumer electronics, medical and scientific instrumentation, industrial control and automation, aerospace, and more. Express Logic designed ThreadX specifically for use in deeply embedded memory- and processing-constrained devices. It is now pre-certified to IEC 61508 SIL 4, IEC 62304 Class C, ISO 26262 ASIL D, UL/IEC 60730, UL/IEC 60335, UL 1998, and EN 50128 SW-SIL 4. ThreadX is also certified for DO-178B designs and is fully MISRA-C:2004 and MISRA C:2014 compliant for safety critical designs. ThreadX also provides consistent naming conventions, user-friendly APIs, and solid development-tool support. That support, which includes over 100 free downloadable reference demos, full ANSI C source code, and internal expertise at support centers worldwide, helps Express Logic customers and partners alike to make the most effective use of ThreadX for faster, easier development. “That ThreadX has now surpassed the 5.4 billion mark in total deployments with a double-digit compounded annual growth rate validates our 20-year commitment to easing and enhancing the development experience,” said William E. Lamie, President of Express Logic.